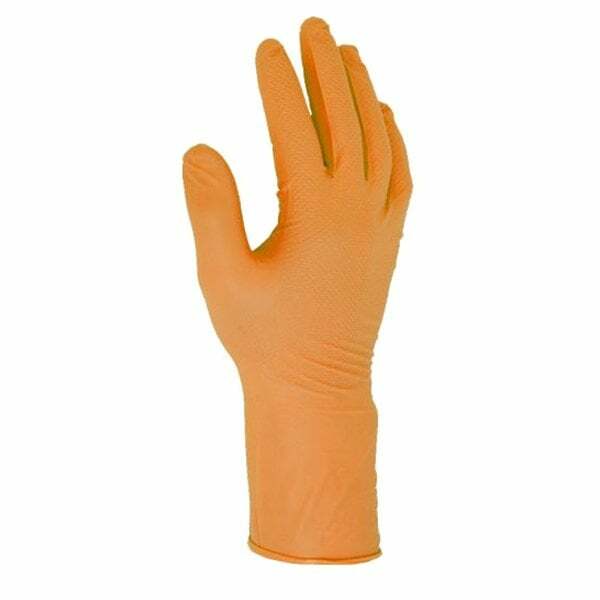 Patented premium quality extra thick 6mil nitrile glove with a double sided 'fish scale' embossed pattern offering excellent grip with durability and dexterity. Fishscale grip improved grip on the outer surface with the product being handled and on the inner surface with your hand. Excellent protection against dilute chemicals and oils. Gloves are designed for single use. Normal thickness at palm - 0.